State Police have released the names of two of the four people that were injured in a vehicle-versus-pedestrian accident a week ago in New Boston. Hurt in the incident was 31-year old Lisa George and 58-year old Cheryl George along with two juveniles who’s names will not be released by police. 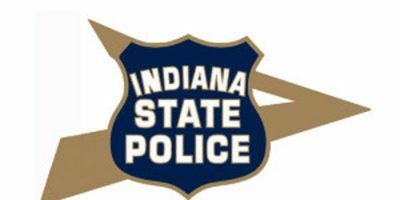 Around 11 pm last Wedneday July 4th, troopers with the Indiana State Police Jasper post were were called to the 11000 block of North State Road 545 and the report of pedestrians who were hit while in the area for a 4th of July party. Authorities say two vehicles collided and the four pedestrians were struck by one of those vehicles. Police say the vehicle that Struck all 4 pedestrians was a 2013 Buick cross over SUV driven by 28-year old Patrick Taylor-Gerber of Tell City. It was involved in a crash with a BMW passenger car driven by an unidentified 17-year old juvenile from Owensboro. Troopers said at the time of the crash they were waiting for certified blood/urine analysis results that tested for alcohol and/or drug use. Authorities say the accident is still under investigation and that the findings of that investigation will be turned over to the Spencer County Prosecutor who will determine if criminal charges are applicable. Two people were taken via helicopter to regional hospitals for treatment of serious injuries. The other two were transported by ambulance to a local hospital for treatment. Be the first to comment on "VICTIMS IDENTIFIED IN NEW BOSTON PEDESTRIAN ACCIDENT"